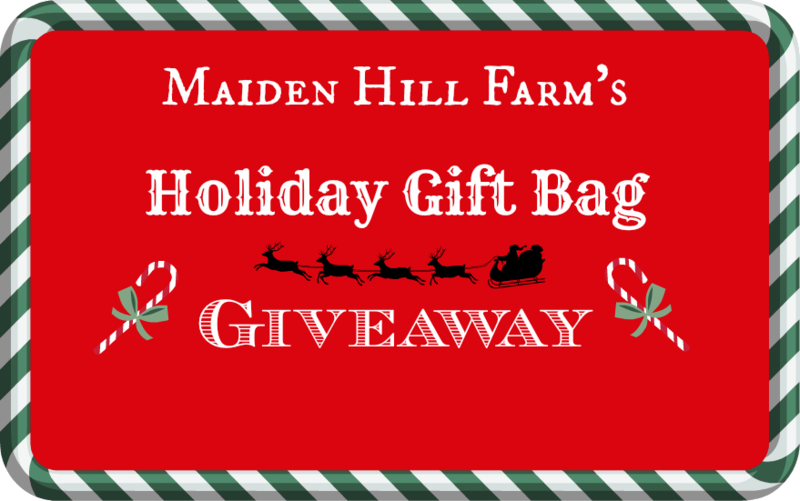 Maiden Hill Farm Gift Bag Giveaway. Wow, can you believe Christmas is less than a week away? I sure can’t and I need to get busy with some serious finishing up on my Christmas to-do list. In the spirit of the season and to celebrate finally making it to 400 likes on our Facebook page (Yay, can you believe it! 🙂 ), we’re giving away a gift bag of goodies (including one of the cute peppermint ornaments that I made yesterday!) from our shop. Now for the legal part: Open to entries from the US only. One lucky winner will be chosen at random when the contest ends on December 25th, 2013 at 12:00 AM CST. The winner will be contacted by email to obtain their mailing address – if after 48 hours I haven’t received a response, a new winner will be chosen. When you sign in to Rafflecopter make sure to include an email address so that I can contact you. As soon as possible, I will mail out the prize. Thank you for participating and good luck!!! P.S. If you don’t want to wait and would like one of our wonderful soaps or other products now, please visit our shop here. My favorite thing about this time of year is the quiet while everyone stays indoors. Spending time with family & friends! My favorite thing about this time of year is seeing all of our family and eating yummy food! My favorite thing this time of year is the sense of giving and caring! I love the lovely snow! This is kind of hard to pinpoint or explain: but for me it is the SPIRIT of the season – it’s just in the air. People are kind, more understanding, more compassionate and generous. It’s as palable as it is (sigh) fleeting. So I try to savor every moment of it. My favorite part of this time of year is spending time with family and friends. I like to snuggle with a blanket when it is chilly in here. Christmas. After that, I’m pretty much over it. Making a special holiday meal and enjoying it with my family is my favorite part of the season. Remembering what we are celebrating. Entered as Katherine.